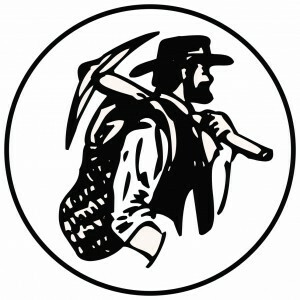 The Oronoco Gold Rush miner symbolizes our hunt for treasures. Things remained quiet in Oronoco until 1972 when Earl Berg established another Gold Rush in Oronoco. Although the rush for gold along the banks of the Zumbro River had died out over a hundred years earlier, Earl recognized that there was gold to be found in antiques, so he invited 38 vendors to come to Oronoco to exhibit their wares. The event was a real family affair with the entire Berg family volunteering their time and talents. Although Mr. Berg died in 1997, Mrs. Berg continued to own and operate Berg’s Antiques. In the mid 1980s, Joyce and Ole Fuchs assumed management of Gold Rush Days with limited but willing input from Earl and Mary Lou Berg. Because of the closing of the downtown bridge over the Zumbro River, the Fuchs moved the event to the south end of Oronoco in 1987. At that time the mayor and city council of Oronoco, wishing to keep the event in downtown Oronoco, used spots in the downtown area for the event and named it Downtown Oronoco Gold Rush Days. The city of Oronoco continues to sponsor this event held once a year on the third weekend of August. The event sponsored by the Fuchs’ group moved to the Olmsted County Fairgrounds in Rochester. This event is under the management and ownership of Townsend, Inc. and is not a part of the non-profit held in Oronoco. Made up of volunteers, the Downtown Oronoco Gold Rush Committee donates all after-expense proceeds from Downtown Oronoco Gold Rush Days to local non-profit groups such as the Oronoco Fire Department, First Responders, the Community Center, churches and school groups.